What is the Mini-Dungeon Tome? 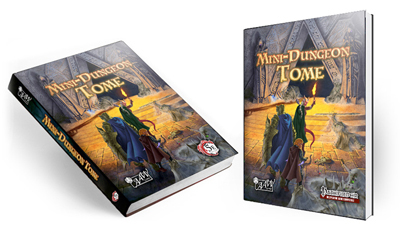 Click here to get the Mini-Dungeon Tome! Available for both 5th Edition and Pathfinder RPG. Copyright 2018 AAW GAMES LLC. Mini-Dungeon Tome Adventure Assistant developed by Justin Andrew Mason.